You know that old saying, “Every day may not be good, but there’s something good in every day”? I try to live by that philosophy as much as possible and look for something positive, even if the day has been really crappy. It helps me put things into perspective and sleep a little better at night. As the 80’s girl I am, “something good” means awesome… like, totally. 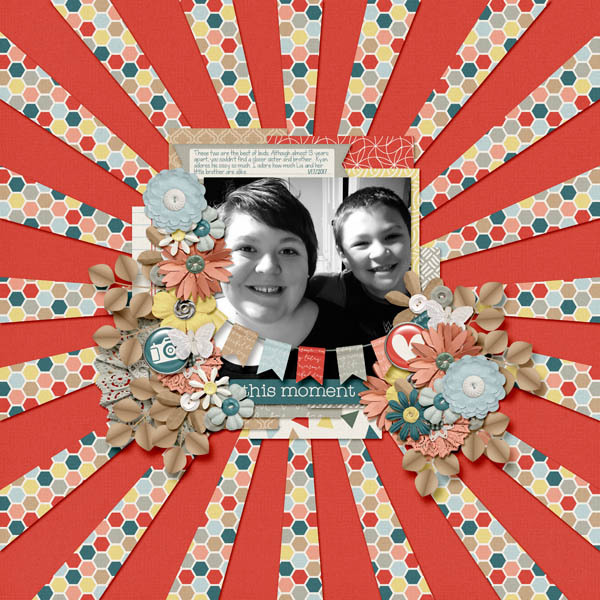 Ponytails Designs' new kit Everyday Awesome is on sale at 30% off. 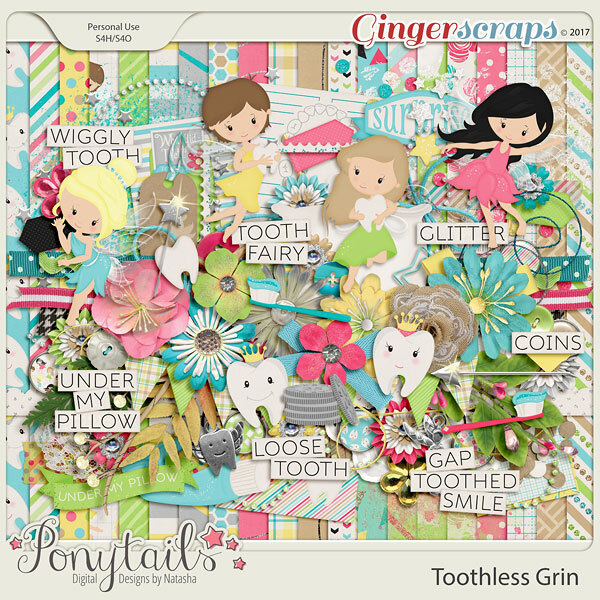 I always love a good tooth-fairy themed kit, and Ponytails Designs has a great one! Toothless Grim is adorable, and while inspired by her daughter, it has just enough stuff for a boy page too. 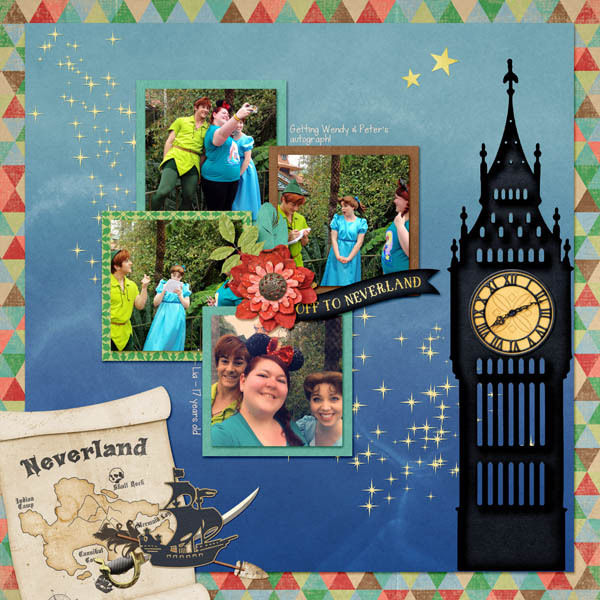 Sail high into the moonlit sky with the boy that never grows up and off to a magic place called Neverland! 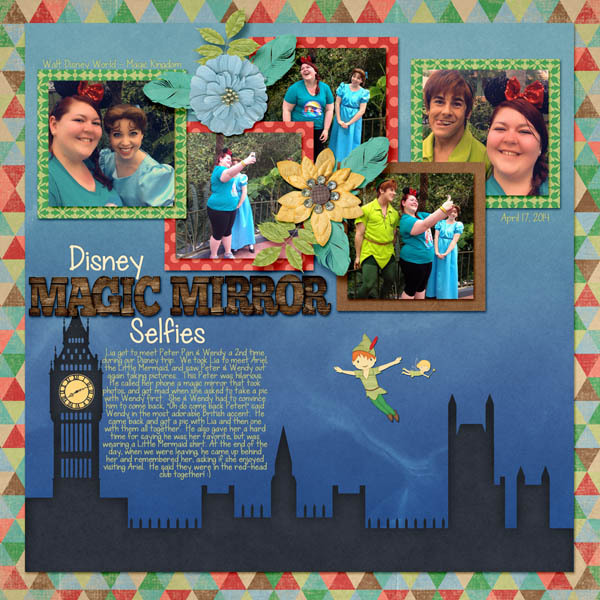 Inspired by the all-time favorite fairy tale of Peter Pan, this new collection by Magical Scraps Galore overflows with beautiful patterns and custom drawn elements that cover everything from the flight over London to pirates, indians, lost boys and fairies, and is perfect to scrap your magical meet and greets, your theme park photos, your birthday party, and so much more! 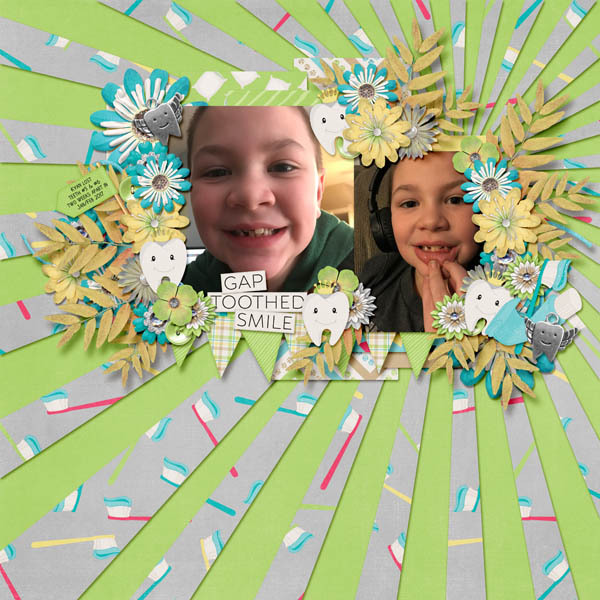 Find the full collection at 58% off -or the individual kit and add-ons at 30% off through Tuesday midnight at GingerScraps, Scraps N Pieces and The Digichick.